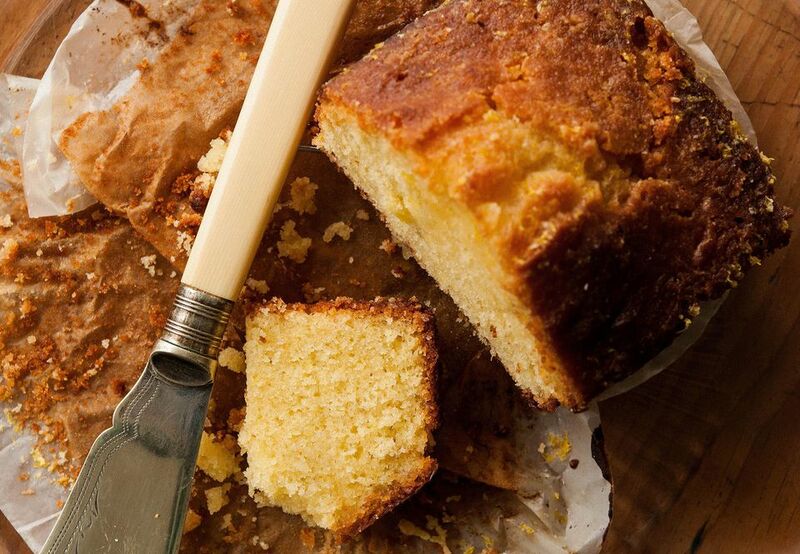 Lemon Drizzle Cake is a serious contender for one of the tastiest cakes, ever. There are several variations on the theme (Lime or Clementine Drizzle being two of the most popular), and this Gin and Tonic Drizzle version is a serious contender. The cake is made with the all-in-one method in a mixer; if you don't have one, then you can do it just as well by hand. Lightly grease and line a loaf tin measuring 23 x 13 x 7 cm (9 x 5 1/2 x 3 inches). Set aside. Sieve the flour and baking powder into the bowl of a food processor or stand mixer. Add all the remaining cake ingredients and mix at a high speed to create a light, airy and smooth cake batter. Pour the batter into your prepared tin. Bake in the center of the preheated oven for 45 to 50 minutes or until, when pierced with a skewer it comes out clean and dry. Remove the cake from the oven, and leave it to stand on a cooling rack (do not remove the cake from the tin). Place the limes juice, the gin, tonic and sugar into a saucepan, heat gently and stir until all the sugar dissolves. Do not boil. Using a skewer, prick the cake all over and then slowly spoon over the syrup a little at a time. Always allow the syrup to soak in before adding any more. Leave the cake to go completely cold in the tin. Once it is, you can remove it from the tin and either eat it or wrap it in a fresh sheet of greaseproof and pop it into an airtight tin. It will keep for a few days. No worries if it goes a little stale, just warm it up and serve with custard. If you can, buy large, juicy, wax-free limes. The sugar for the syrup can be white granulated, sugar nibs, or, for extra flavor, Demerara. All will give a crunchy coating to the cake and bring much-needed sweetness too.